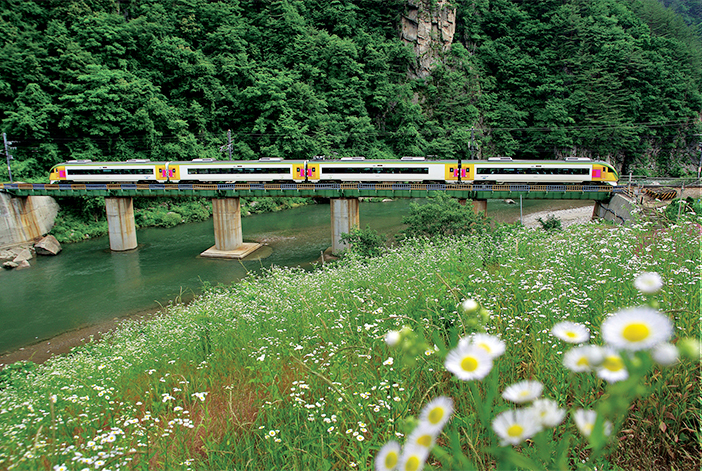 The Korea Railroad Co., better known as KORAIL, provides a multitude of special tourist trains to facilitate regional travel. Among these, the most popular are the Central Inland Region Train (O-Train), Baekdudaegan Mountain Range Canyon Train (V-Train), and the Sea Train traveling along the eastern coast. Read on to learn a bit more about these great travel options. 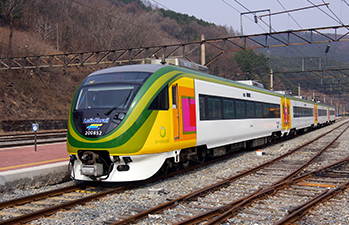 The O-Train derives its name from the word "One," as the three provinces (Gangwon-do, Chungcheongbuk-do, Gyeongsangbuk-do) in the country's central inland region are connected by this single circular route. 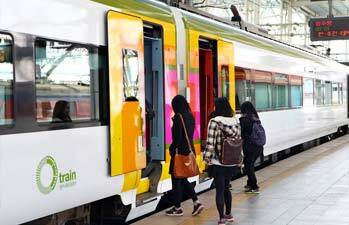 The train was designed with the theme of the four picturesque seasons of Baekdudaegan, Korea's grandest mountain range. The four-cabin train carries up to 205 people, with 56 seats each in the two Eco cabins, 37 seats in the cabin for people with disabilities and a snack bar, and 56 seats in the cabin for families and individual passengers. The train includes individual seating (2-person & 4-person sets), as well as separate seating options for families and couples to accommodate the needs of different passengers. There are also individual observatory seats for people traveling on their own. The train is well-equipped with various themed seats and convenience facilities including a café, children's play area, toilets, and more. In addition, every seat has an in-seat power outlet so that passengers can recharge their phones or laptops as they ride. Sightseeing monitors installed throughout the train show the view from in front of the train as it runs along the tracks in real time. The O-Train operates once a day (round-trip) daily except Mondays. Passengers are allowed to board and depart the train at all stops along the way. 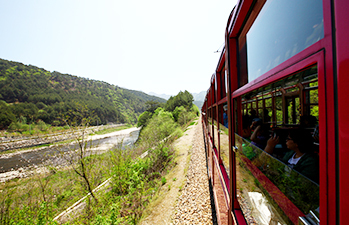 The ‘V’ in V-Train stands for "valley," as it travels through the beautiful valley between Cheoram, Gangwon-do and Buncheon and Yangwon in Gyeongsangbuk-do. Riding on the V-Train is especially refreshing, as the windows can be opened to feel the breeze. Traveling at a leisurely speed that is slower than regular trains, passengers can easily enjoy the changing views of the mountains and valley. 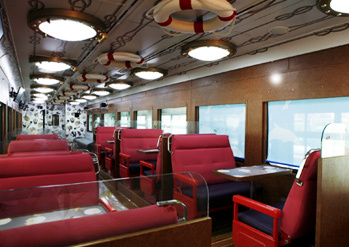 The V-Train operates daily, excluding Mondays, from Buncheon Station to Cheoram Station, and has three cabins that can accommodate up to 158 people. 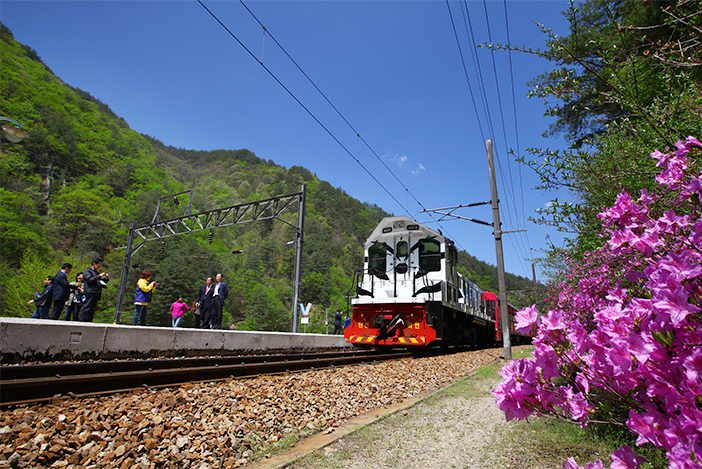 As a special treat, the V-Train stops for about 5-10 minutes at Yangwon Station and Seungbu Station so that passengers can take pictures. Sometimes, a mini-market selling food and local produce is open just in time for the train’s stop. ※ The KORAIL Pass (online reservations & on-site purchase) is recommended as it grants unlimited access to the O-Train & V-Train, as well as other tourist trains including A-Train, S-Train, DMZ Peace Train, and West Gold Train for the fixed period of time purchased. The Sea Train is composed of four cars: two first-class cars, one economy car, and one family car. The first-class cars equipped with couple seats and all seats are window-facing. 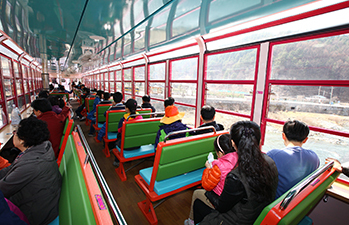 The third car has table seats designed for families, as well as a cafeteria. The last car is mainly for accommodating group travelers with seats for two or three people. The train ride takes about 1 hour and 20 minutes for a one-way trip and 3 hours for a round trip. 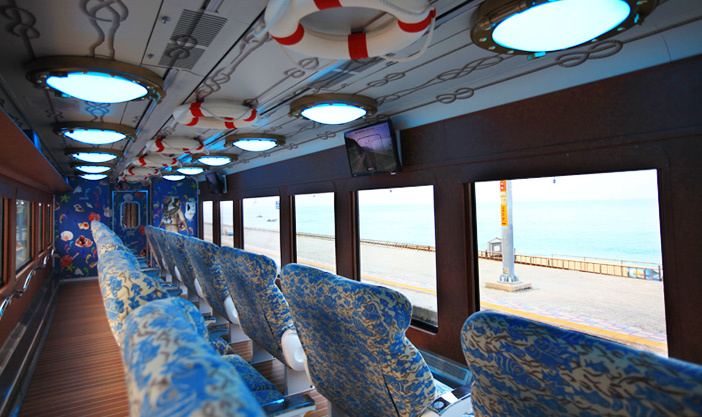 In addition to the refreshing ocean views through the wide windows, Sea Train offers much more. The first and second cars include Proposal Rooms for couples where they can enjoy a glass of wine during their romantic ride along the ocean shore. Train staff provide assistance in taking photos for free upon request. 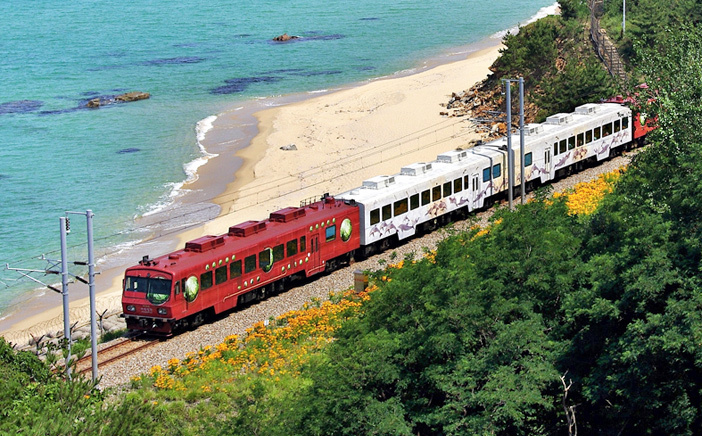 The third car is equipped with the Sea Train Café, where passengers can purchase a cup of coffee, light snacks, and even local products from the eastern coast region. 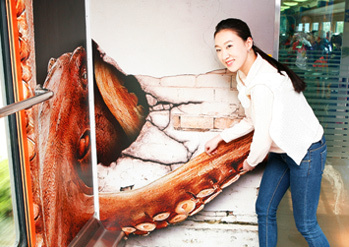 The interior of the train is decorated in an undersea motif with images of starfish, shellfish, and a trick-art shark, providing a perfect backdrop for memorable photos. This page was last updated on September 14, 2018, and therefore information may differ from what is presented here. We advise you to check details before visiting.